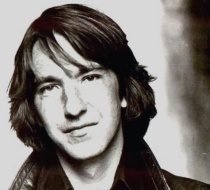 Young Severus. . Wallpaper and background images in the Severus Snape club tagged: severus snape alan rickman potions master half-blood prince severus snape. This is amazing! Where did you ever get it?! what was wrong with Lily! Wake up girl! This is alan's real hair, right? Damn I wanna go back in time and steal him!